Sweet days of April, the lime tree's in bloom. 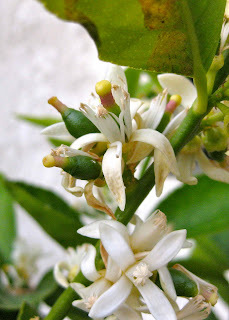 Tons of fragrant flowers and a few developing limes. Should make for great margaritas this summer.